The Lenovo K900 has now launched and we can reveal the price point in India, the 5.5-inch smartphone was supposed to release on May 25th so not too bad considering we are only on June 5th. 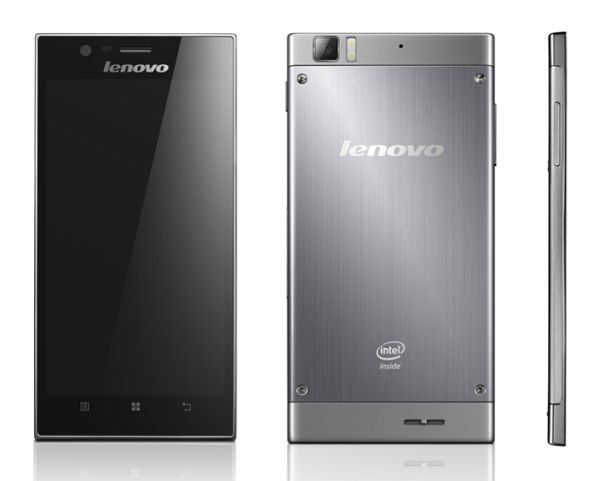 This Lenovo smartphone is the first to house the dual-core Intel CloverTrail+ chipset, instead of the normal ARM architecture. The specs on the Lenovo K900 includes 5.5-inch IPS display with 1920Ã—1080 pixels at 401ppi, 2GB of RAM, 2GHz CloverTrail+ dual core CPU, 13-megapixel camera, 1080p video, 2-megapixel front facing camera and a 2500-mAh battery. It also features a great internal storage at 16GB and runs on Android 4.2 Jelly Bean operating system, it is only 162 grams in weight and 6.9mm thin. The price in India for the Lenovo K900 is set at Rs 32,999 and will be available at Lenovo outlets starting in July. The camera is said to be fantastic on the Lenovo K900 thanks to its Sony Exmor BSI sensor and f1.8 focal length lens on the 13MP cam, the front-camera has also been widened to 880-viewing angle. Even though the Lenovo K900 comes with a unibody construction with polycarbonate and stainless steel casing, it has been questioned if this is better than the Samsung Galaxy S4. We have noticed online a few commenter’s saying they would prefer to buy the Samsung Galaxy S4 using coupons, which they could get for a price of between 37,000 and 39,000 and considering the SGS4 comes with many more sensors it is a no brainer not to choose the K900. (This is what a few commenter’s have said, so do not shoot Phones Review in the foot). Would you prefer the Lenovo K900 or the Galaxy S4? You aware of customs duty buddy???? It sums up more than you pay here. Phew!! !